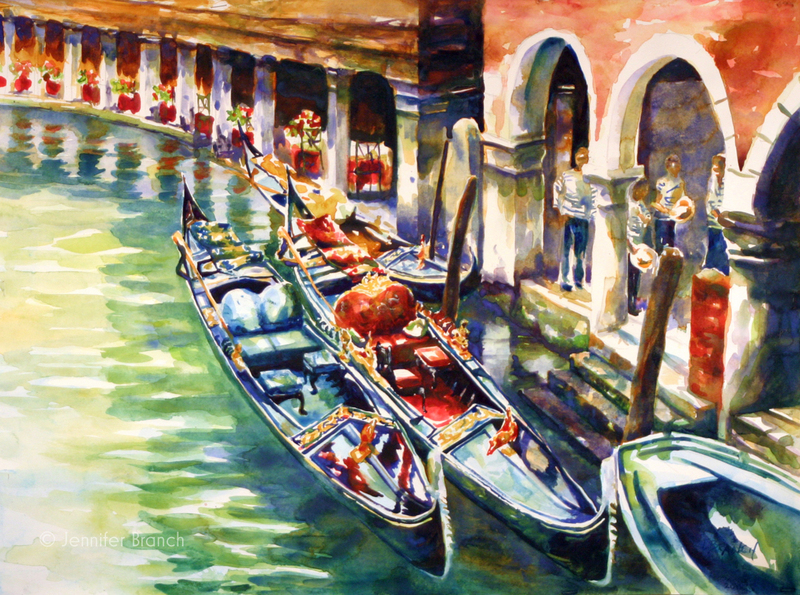 This watercolor painting of a Venice cathedral is one of my best paintings yet! My Sanctuary paintings series are always my most precious paintings. Sanctuary is meant for the old sense of the word, a place of refuge, a holy place where you are protected by God. 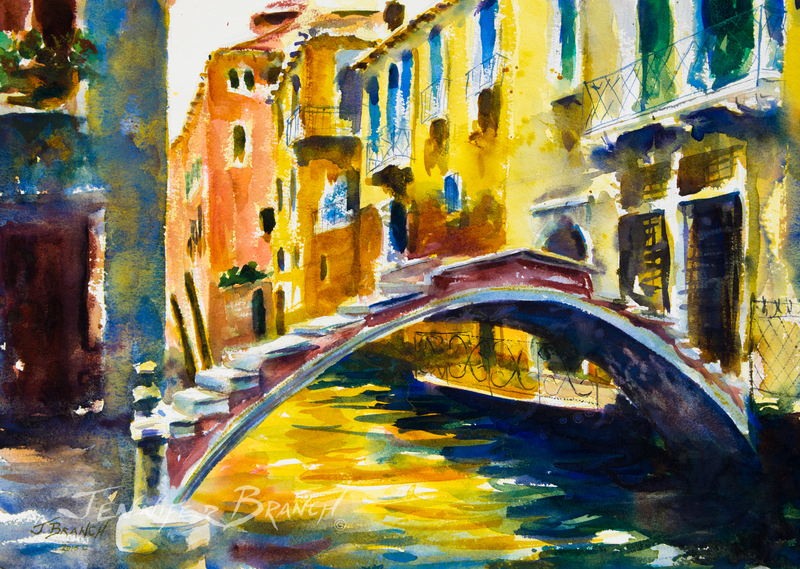 Several religions use the term so the series is not about Christian churches in particular but places of refuge. From pagan Roman through Christian Medieval times, holy places were such a powerful sanctuary that the law couldn't touch a person who had claimed the right of sanctuary there. That's why sanctuary is such a powerful word even today. A little bit about this particular church. The church of San Giovanni e Paolo, Venice's largest Dominican church, sits on its own square, the campo Giovanni e Paolo. I spent a lot of time on this square. There's a lovely cafe right on the edge of a canal. The facade of the church is not the interesting part of the square. It's a rather boring brick Gothic style cathedral. The most beautiful building facade belongs to the hospital building, the Scuola Grande di San Marco. But once you walk into the church of San Giovanni e Paolo, the interior captivates you. It's huge with many beautiful side chapels. The ancient pink and cream marble of the floor is worn in the center from the many people who have traveled to the altar. It's dark and medieval but the light behind the altar draws you down into the church. I wanted to show the pure, cool light streaming from behind the altar, pulling you in towards God. Human builders constructed the grand church but the the real focus is on that light. 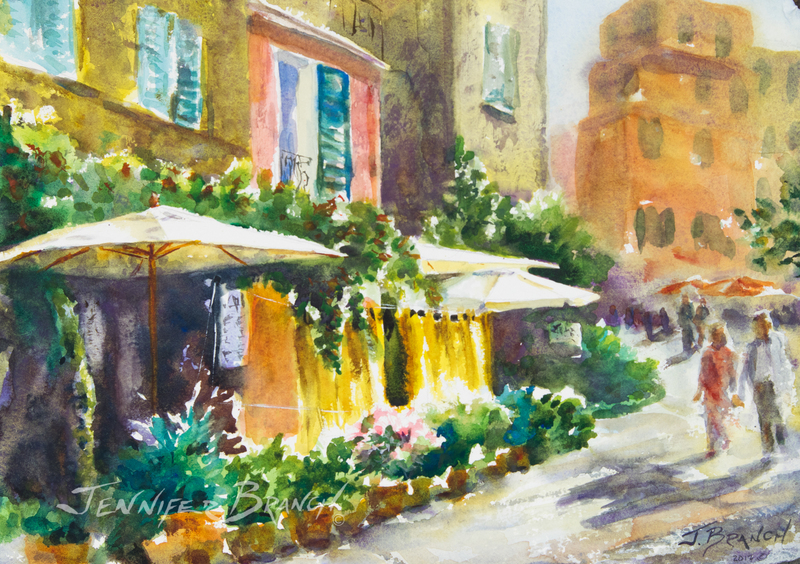 If you're interested in the process of painting this work, please visit my journal entry. 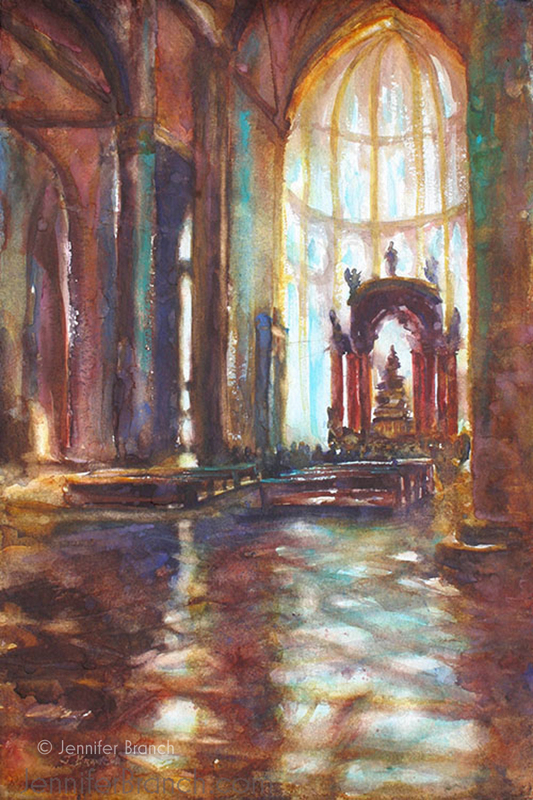 This cathedral painting draws the viewer into the painting and into the peace of a sanctuary.